A Japanese international airline pilot will spend most of next year in the unfamiliar surroundings of an English prison after being jailed for one of the worst things a pilot can do. 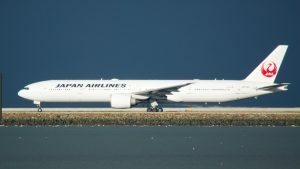 Japan Airlines pilot Katsutoshi Jitsukawa was drunk on duty – not just marginally over the alcohol limit but almost 10 times over – just before he was due to take off from London for Tokyo in a B777-300, a flight sector of almost 12 hours. Jitsukawa, 42, pleaded guilty. In London’s Isleworth Crown Court on Friday, Judge Phillip Matthews jailed him for 10 months. Handing down the sentence, the judge told Jitsukawa “the prospect of you taking over control of that aircraft is too appalling to contemplate”, adding that Jitsukawa had put passengers at risk and the consequences could have been “catastrophic”. Jitsukawa’s arrest reportedly led Japan Airlines to crack down on its pilots’ alcohol consumption. The airline has ordered many of its staff to be breathalysed before working. It has banned all pilots from drinking alcohol within 24 hours of reporting for a flight from Japan – and has forbidden them to consume alcohol during on-duty stays, whether in Japan or abroad. The airline believes Jitsukawa falsified breath test results by exploiting the breathalyser model it was using at the time of his arrest. 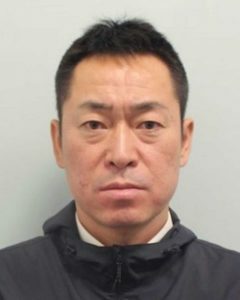 Jitsukawa was arrested on 28 October 2018, after disturbing rumours of a drunken pilot reached the ears of authorities. The driver of a crew bus smelled alcohol on Jitsukawa and reported it. Jitsukawa pleaded guilty to having a blood alcohol level of 189mg per 100ml. The limit for commercial airline pilots is 20mg per 100ml. 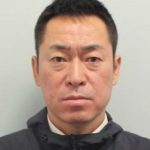 Jitsukawa was scheduled as first officer on JAL flight JL44 from London Heathrow to Tokyo Haneda when he was removed from the aircraft and placed under arrest. The incident delayed the flight by over an hour.